At the heart of the holiday season many individuals take the time to volunteer, make donations, and find other ways to give back to their communities. When it comes to community outreach like this, many private investigations firms will choose to participate. We recently spoke with George Sano Investigations, a company that has chosen to donate to local organizations year round. 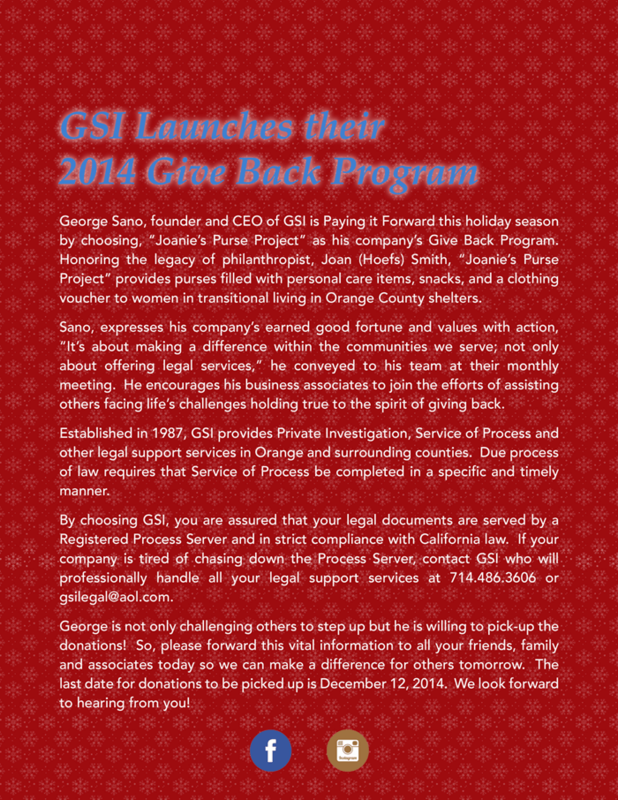 GSI: PI and Process Service agencies alike can contact us at: gsilegal@aol.com or call 714.486.3606 to make arrangements for donations to be picked up in Southern, California anytime (although, December 12, 2014 is deadline for this Christmas) since we collect year around for giving purses on Mother’s Day, too! If you want to participate but do not live locally contact the outreach program through Joanie’s Purse Project on Facebook or George Sano Investigations on Facebook. Giving back to your community is an honorable gesture any time of year, and it's also a great way to highlight your company in a positive way. 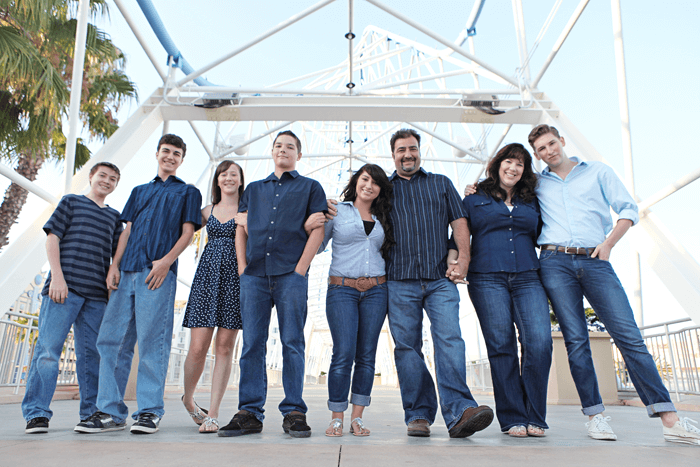 If your firm has taken the time to give back to your community, send us an email at marketing@pinow.com to share your story.